St. Matthew’s is a welcoming community of diverse age, racial and family backgrounds, all seeking to work out our faith in community together. We are a mid-sized parish of approximately 300 families, with many programs for all age groups. 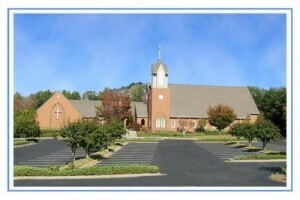 Our sanctuary and all our facilities are handicap accessible. Additional handicap parking and wheelchair access ramps are located behind our sanctuary. At St. Matthew’s, our motto is “It’s the People!” and we welcome you, whether you are visiting once or “trying us on for size” as you search for a church family that is right for you. Come worship Christ our Lord in community with us. We would love to get to know you!